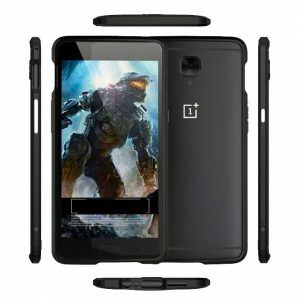 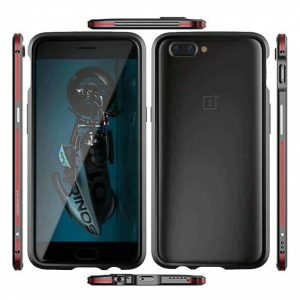 OnePlus 5 Swordfish Armor has single / dual color design over aircraft grade aluminum armor with soft lining inside for scratch resistance. Armor Provides drop protection. 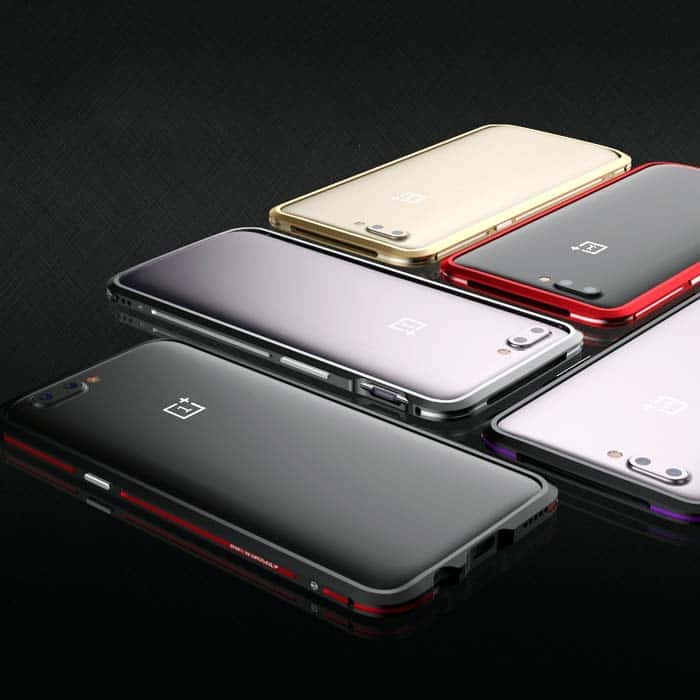 Raised bezel that protects your screen from scratches and dirt. 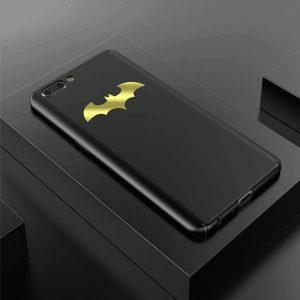 Keeps your phone slim and light. 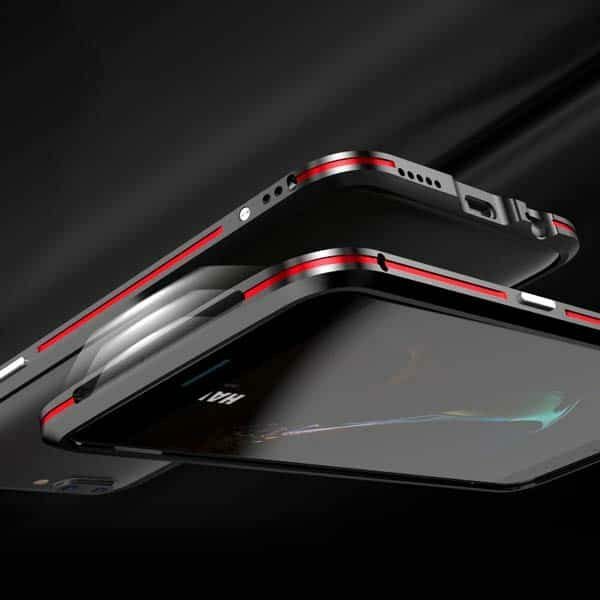 Easily access all ports, controls & connectors. The design of the OnePlus 5 aluminum armor means that you are still able to see the majority of your gorgeous OnePlus 5 at all times. 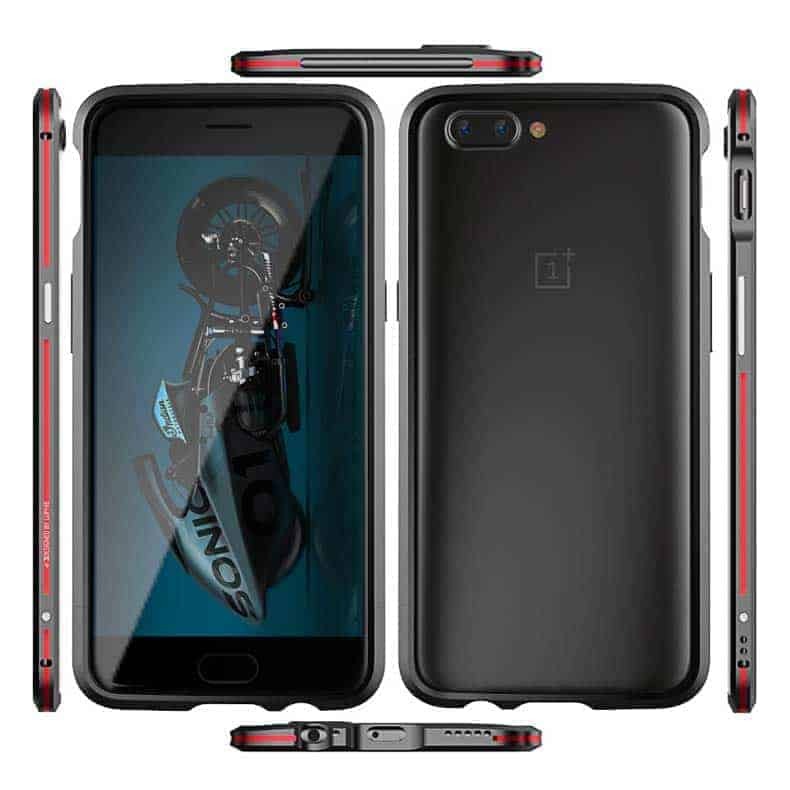 This aluminium bumper features anti-shock protection to maximise the safety of the OnePlus 5. 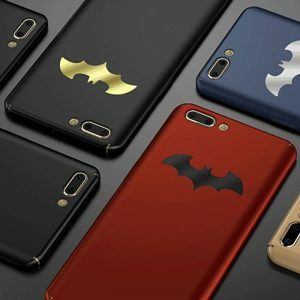 Not only does it protect your phone, but it looks great also. 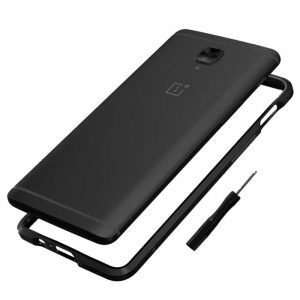 This bumper has a raised bezel, that prevents your OnePlus 5’s screen from coming into contact with any flat surface when you place the phone face down. 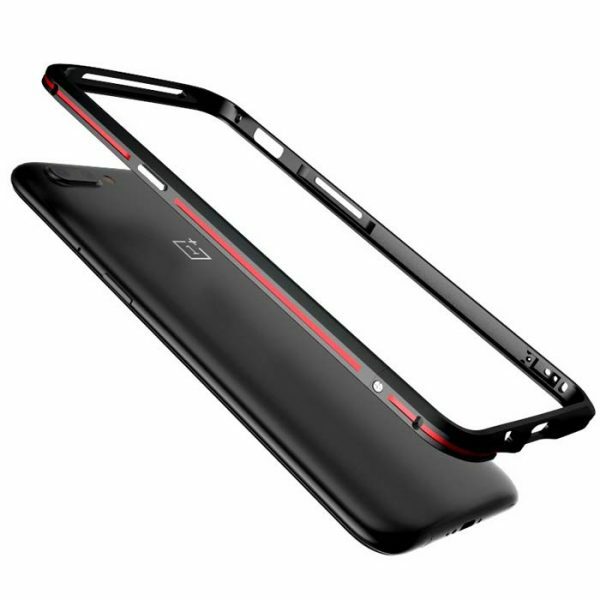 This prevents your OnePlus 5 screen from getting any unwanted scratches and dirt on it. Thanks to the bumper design, your phone won’t have added bulk – helping to keep your OnePlus 5 as slim and light as it was originally designed to be. 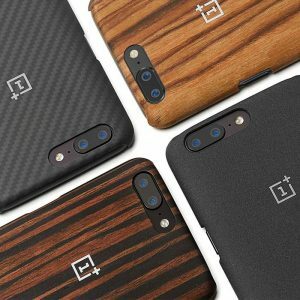 The case also features cut-outs for the ports and features of the OnePlus 5, including the dock connector and camera.